Chad specializes as a buyer’s agent, and customer service is his primary concern. “Chad’s greatest satisfaction is hearing how pleased his clients are with the personal attention he provides them”, says Doug West. Chad adopts his clients’ goals as his own, taking their experiences personally. He listens to their needs and wants, and provides sound advice and guidance to his clients while helping them forge their own path to home ownership. Chad knows what it takes to get his clients into their next home, and he regularly succeeds in doing just that! 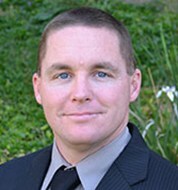 Chad has lived in the coastal North San Diego County area since the 1990s. His geographic expertise is in the Oceanside, Vista, San Marcos, and Carlsbad areas, but he is ready and willing to travel wherever needed to view properties and show them his clients. “Leave no stone unturned” is an idiom frequently heard within the Doug West Group, and Chad embodies this idiom, searching wherever his clients’ needs can be matched. Chad has a bachelor’s degree in business management, and is a proud father and husband. He is also a reservist in the Air Force – home based at March Air Reserve base near Riverside, CA. Chad is also a veteran of the San Diego Sheriff’s Department and a Cub Scout leader. Updated: 25th April, 2019 6:06 AM.